Another girly template on this Enakei Korean Sketch Graphics. Really love this girl graphic. Still dominated with baby blue and pink color, for cheerful girl. Use on your blog and lets happy blogging. 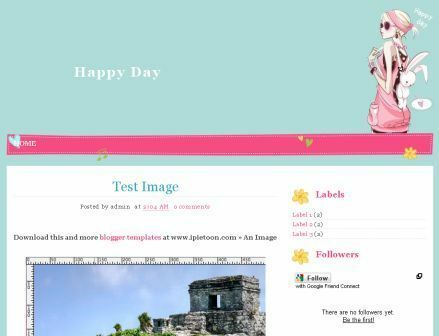 Your site is very beautiful!!! knp gag bsa d download ?? Dapatkan diskon gila-gilaan at DISDUS.COM up to 50% lebih. Ikuti Kontesnya berhadiah total 5juta rupiah. Great design! and a lot of useful resources. Thanks! A very good template... Well, I would suggest U to add some "tempe & tempoyak" in your template. These addition will be great... daa..
hello, boleh download template nya nggak? wo... u have 6 googlerank!!!! I always like the combination of light blues and pinks. Great template! We're glad to know more and read this review. I'm happy to share with insurance instant quotes that is supported by common insurers. Customer could save on cheap auto insurance quotes which allow customers to get cheap policy. Por favor alguién me puede pasar el código. Urgentísimo please !!! How nice happy day and more interesting blogger shared on the site so that can be know that and enjoy it. Mostly people are very like it and enjoy it.